Actel Corporation (NASDAQ: ACTL) today announced the availability of SmartFusion™ intelligent mixed signal FPGA reference designs targeting motor control applications. The reference designs which have been implemented in a single SmartFusion device, illustrate Field Oriented Control (FOC) using various feedback methods for permanent magnet synchronous motors (PMSMs). SmartFusion devices, which integrate an FPGA, a hard ARM® Cortex™-M microncontroller and programmable analog, are uniquely suited for motor control applications and enable the designer to optimize the hardware/software partitioning for optimum motor efficiency and performance. The reference designs showcase a single A2F5 device controlling up to four axes of PMSMs simultaneously using the complex FOC algorithm with sufficient FPGA resources and bandwidth remaining for additional custom logic. Designers can now take advantage of the already proven reference designs, which include source code, which results in faster time to market for their own applications. The reference design package includes an example of FOC implementation using space vector pulse width modulation (SVPWM) on the SmartFusion device while using various feedback methods such as optical encoders and Hall effect sensors. A sensorless reference design (using back-electromotive force (back-EMF)) is currently under development and will be made available to all customers who purchase the reference design kit when it is released, at no additional charge. All the designs have the option to communicate to the host via Ethernet, enabling remote monitoring and control, as well as easy migration to Ethernet-based industrial protocols. Rich Kapusta, vice president of marketing and business development at Actel said that the reference designs demonstrate the compelling fit SmartFusion devices provide for motor control applications, specifically where strict torque control would be necessary to reduce torque ripple and achieve energy efficiency. He further added that SmartFusion devices offer a one-chip solution providing precision, reduced noise, smaller form factor and faster response time. These features are necessary for applications in industrial drives, factory automation, medical equipment and military applications using AC motors, BLDC motors or PMSM. Actel has partnered with motor control experts at Power and Control Design, Inc. in the development of the motor control reference designs enabling the demonstration and benchtop development of world class motor control products. Brad Landseadel, president & CEO of Power and Control Design said that SmartFusion represents an ideal platform on which one could build a motor control system with tremendous power and flexibility He further added that some of the most difficult challenges motor control applications present are addressed very nicely and in one cost-effective single-chip solution. Actel has answered the bell with a single-chip solution that satisfies the need for application-specific logic, closely-coupled, interrupt-driven ADCs and the power of a 2-bit Cortex-M ARM Processor -all, to the benefit of high-performance motor control applications. 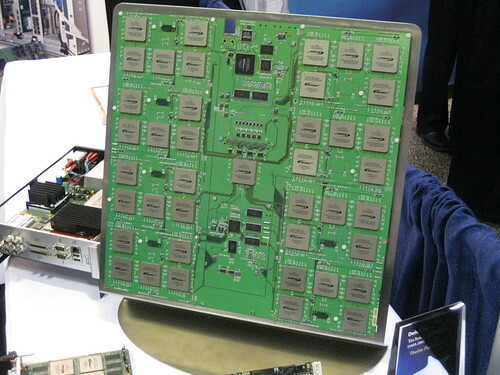 Lastly, he said that SmartFusion enables engineers to essentially develop their own MCU that delivers a real, 2-bit, high-performance hard processor core with peripherals designed and optimized for their application. The reference design package (A2F-MOTOR-CONTROL-DESIGNS) is orderable from Actel for the list price of $499. The designs are available for use or modification by customers to use in their own system without additional licensing or royalty fees.